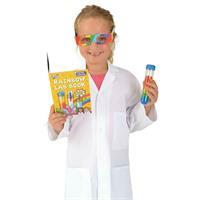 Explore and discover the wonderful world of colour and find out how rainbows are created! 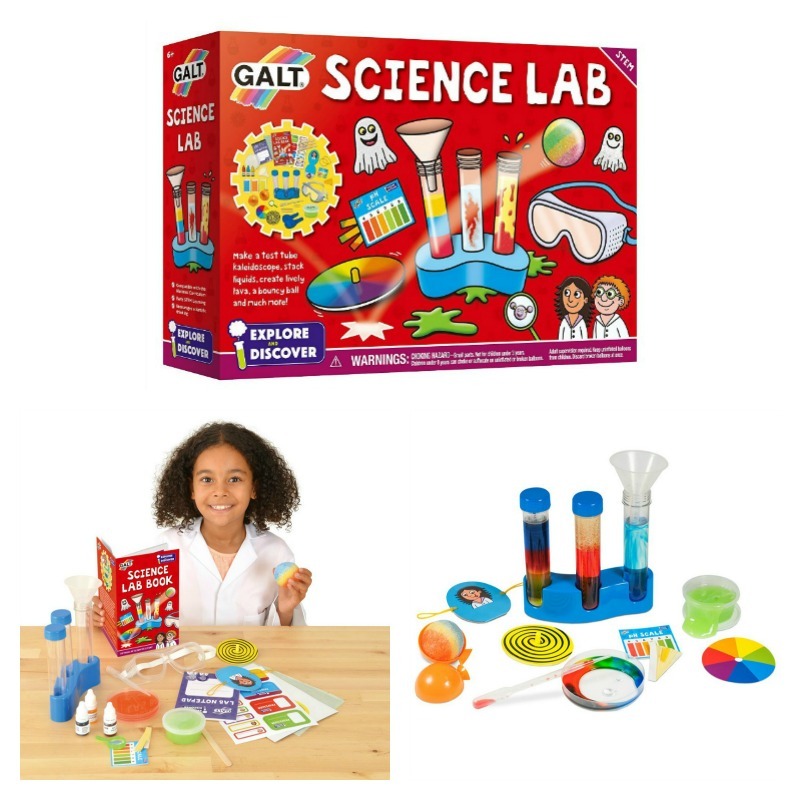 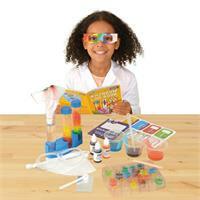 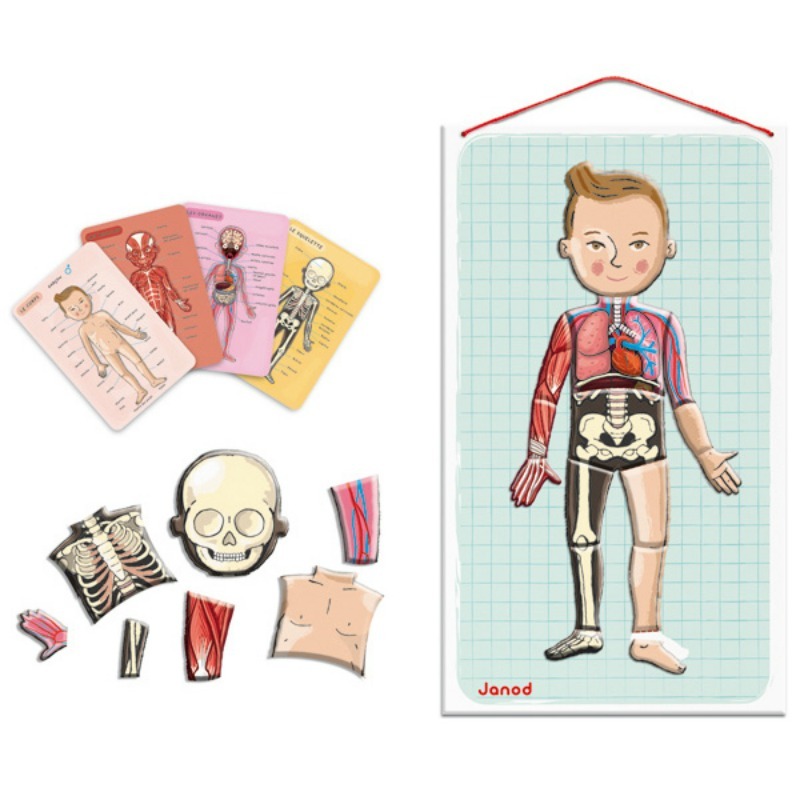 This exciting kit for young scientists includes a full colour Lab book and 12 fun experiments. 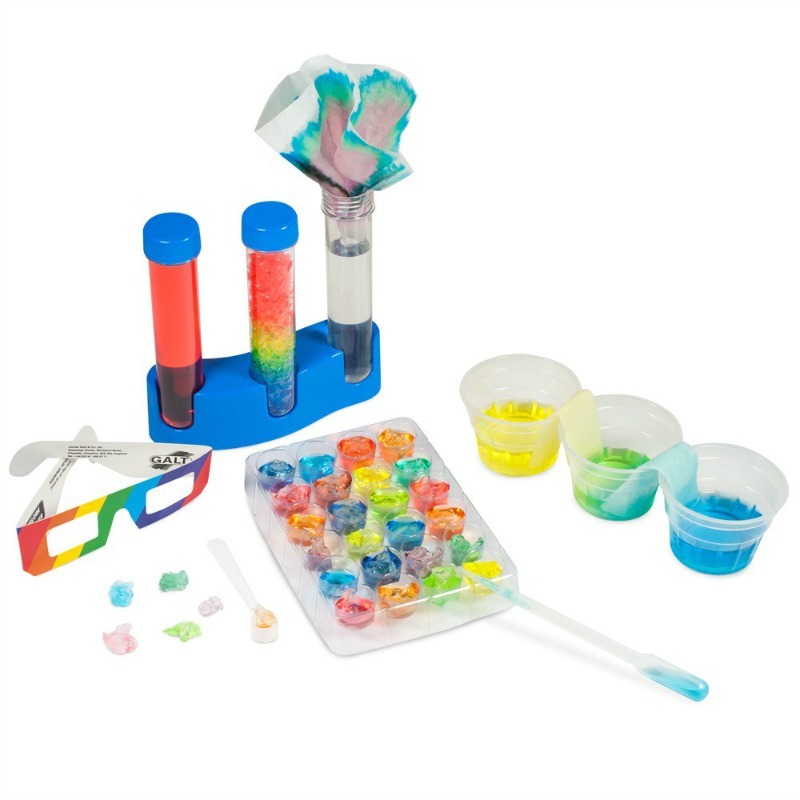 Experiment with colour mixing then grow amazing jelly-like crystals in many different colours. Create a rainbow in a test tube and see the world through rainbow glasses! 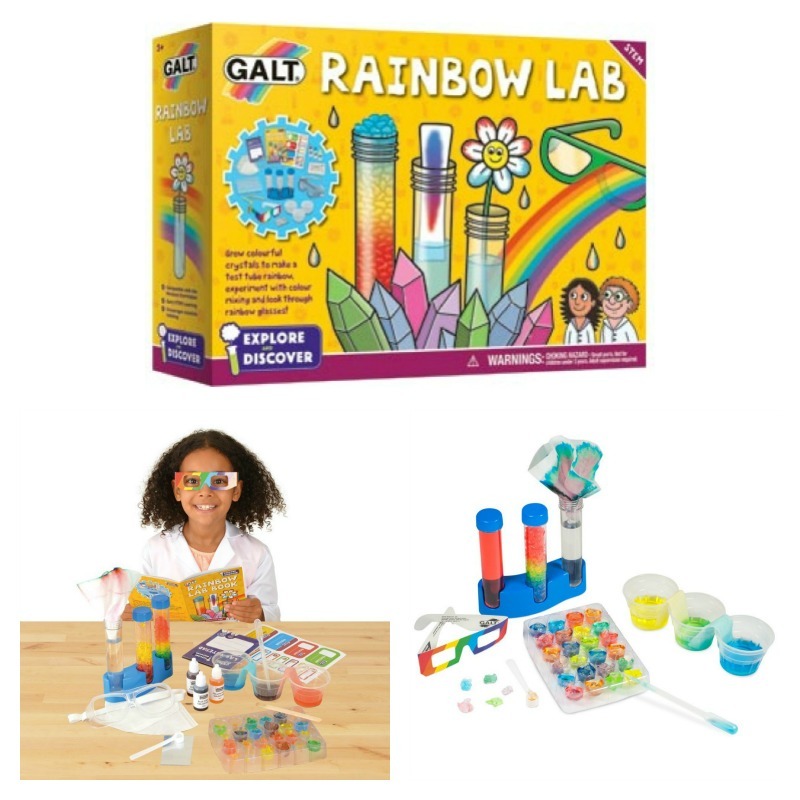 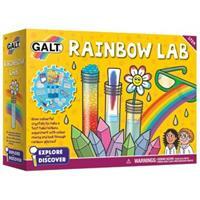 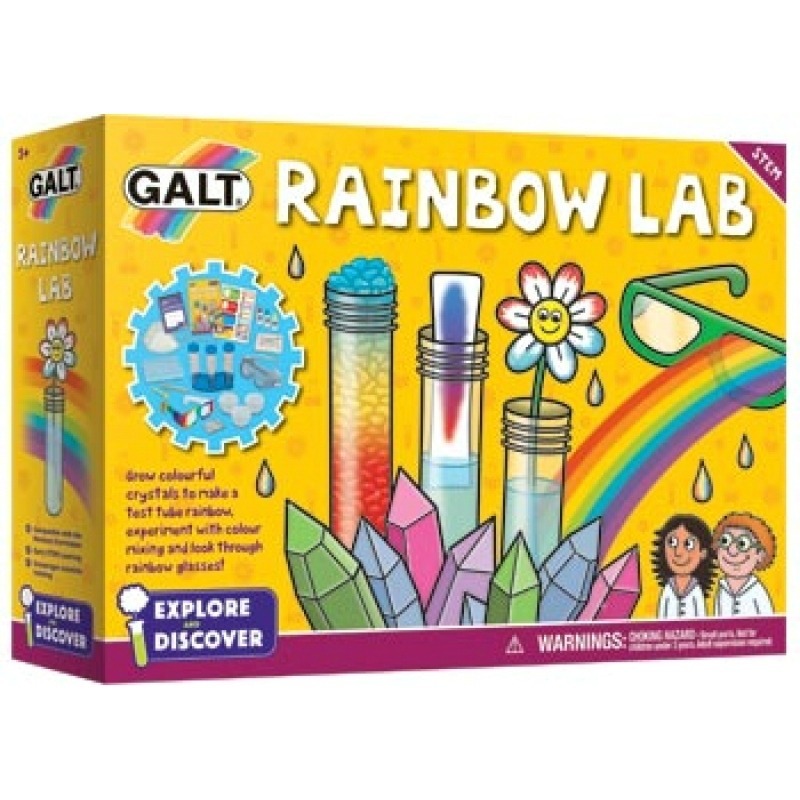 Rainbow Lab is part of Galt Toy's new Explore & Discover STEM range. Contents : 3 test tubes, test tube rack, goggles, colour mixing tray, pipette, polyacrylamide crystals, 3 food colourings, rainbow glasses, 3 plastic cups, filter paper, plastic mirror, mixing stick, plastic scoop, stickers, notepad and 24 page Lab Book. 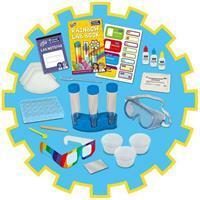 Some additional common household items are also required.